The UK’s media regulator has assessed whether RT’s coverage of the MH17 plane crash was biased following several viewer complaints, and hasn’t found any problems that merited investigation, nor any breach of standards. 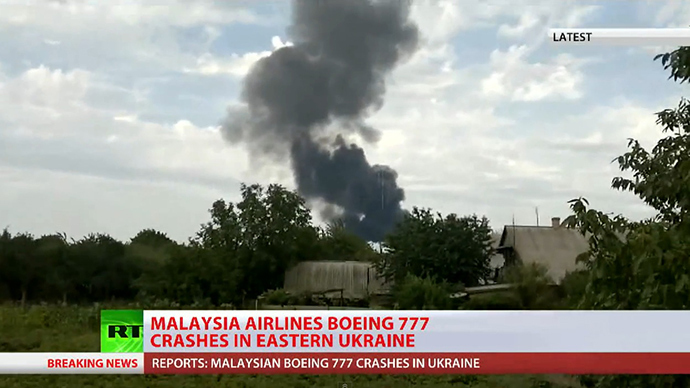 The original grievances concerned RT’s July 17-22, 2014 coverage of the Malaysia Airlines flight MH17 crash in eastern Ukraine, and the subsequent speculation about possible culprits in the downing of the plane. After careful review of 30 hours of off-air recordings, Ofcom concluded the complaints “didn’t raise issues warranting investigation.” RT has been cleared of all charges of insufficient impartiality and factuality in these reports. “A lot of noise has been made in recent months by the mainstream media about the alleged bias in RT’s coverage on this tragedy; now Ofcom has looked into the issue and effectively found it all baseless,” said RT’s editor in chief Margarita Simonyan. “We have frequently struggled to get the mainstream media to accept our right to broadcast alternative points of view without being subjected to accusations of 'bias'," she said, adding that RT believes vibrancy of debate is safeguarded by a range of media voices. In November 2014, Ofcom found certain RT reports on the crisis in Ukraine to be in breach of the regulator’s impartiality rules, but RT’s coverage of the Maidan protests has otherwise been positively recognized by RT’s industry peers and the audience. It was nominated for the Monte Carlo Television Festival Award for best 24-hour newscast, and in November received high commendation from the jury of the Association of International Broadcasters (AIB). RT "has become a favored destination for those seeking an alternative view" on the events in Ukraine, Britain’s Express newspaper noted in March. Ofcom also cleared RT of accusations of breach brought against the channel for using graphic imagery in the 'breaking news’ broadcast of the crash. The UK regulator found, in reports containing blurred images of crash victims, RT had taken “sufficient steps to limit the potential for offence. This included pixelating graphic imagery and only broadcasting it after the watershed,” – that is, after 9 pm local time, when TV programs that might be unsuitable for children can be broadcast. Some of RT’s broadcasts about the crash were preceded by visual (textual) and/or voiced warnings that graphic images might be shown. In contrast, Ofcom didn’t clear the BBC of a complaint that the passport of a crash victim was inappropriate for broadcast. But, with the company having removed the materials from its subsequent broadcasts and apologizing, the watchdog considered the matter resolved. The UK's communications regulator, monitoring the content and quality of TV and radio services in the country, is still investigating other complaints regarding impartiality in some of RT's broadcasts last year.